This is one of the yummiest breads ever. I love the rich texture and dark color. Made with nutritious black strap molasses and whole wheat or bran, it is a hearty bread, that keeps well and is soft enough to eat days after… if there is any left! Makes great sandwiches and toast, and so good with winter soups. Shape dough into a ball. Place in an oiled bowl, turning to coat all sides. Cover. Place in a warm place to rise, or if you do not have a warm place, put on top rack of oven. Turn on low for 5 minutes, then turn off (to create a barely warm oven). Place pan of steaming water on bottom rack. Let rise until doubled, 45 minutes to 1 1/4 hours. Punch down and shape into loaf or rolls. Brush with oil and let rise again, although sometimes I skip the second rise and bake it right away. Bake at 400 C degrees for 20-30 minutes. 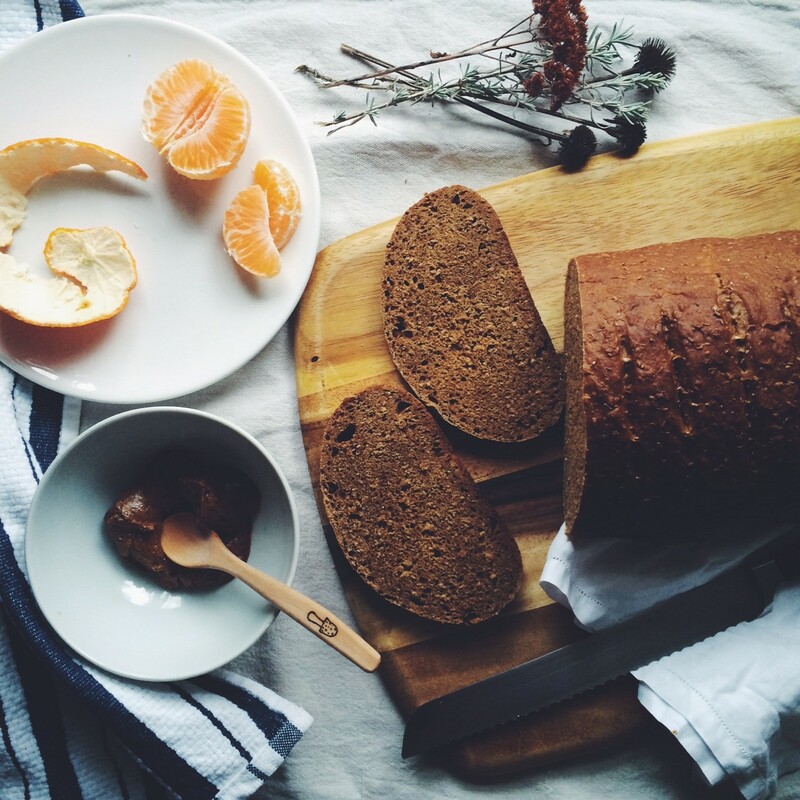 This entry was posted in E A T and tagged bread, cook, eat, molasses bread. Our family loves molasses bread. I have an old Swedish recipe my grandmother used. Our version is a bit different, but so delicious.